Fine lines and wrinkles – particularly on the face – are often the first signs of ageing. As the body ages, the skin becomes thinner and the production of both elastin and collagen beneath the surface of the skin begins to deteriorate. This in turn has an impact on the firmness of the skin, resulting in the appearance of lines and wrinkles. Along with the natural ageing process, additional factors that can contribute to the appearance of lines and wrinkles include smoking, exposure to the sun, poor skin care and genetics. 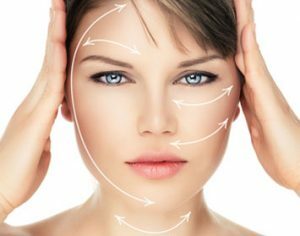 HSA Dermal Clinic is proud to offer the most advanced non-surgical treatments in London for lines and wrinkles. We offer an extensive range of clinical treatments and topicals, which combine to effectively minimise or eliminate the most common signs of ageing. With no surgery required, we’ll help restore your skin’s youthfulness and ensure you hold onto it for as long as possible. Contact a member of the HSA Dermal Clinic team today for more information. The key to understanding how to get rid of fine lines and wrinkles lies in first considering how lines and wrinkles appear in the first place. Over time, the body’s natural ability to produce new collagen and elastin beneath the surface of the skin diminishes, ultimately resulting in thinner, duller and more uneven skin. As such, the best way to eliminate or reduce the appearance of lines and wrinkles is to stimulate the production of new elastin and collagen beneath the surface. Here at HSA Dermal Clinic, this is the exact focus of the non-surgical treatments we specialise in. Rather than tackling lines and wrinkles superficially, our cutting-edge techniques get to work deeper below the surface of the skin. By encouraging the body to produce more elastin and collagen, the skin’s plumpness and firmness are naturally boosted from within. With absolutely no invasive surgery required, immediate and long-lasting results are guaranteed. Call today for more information.